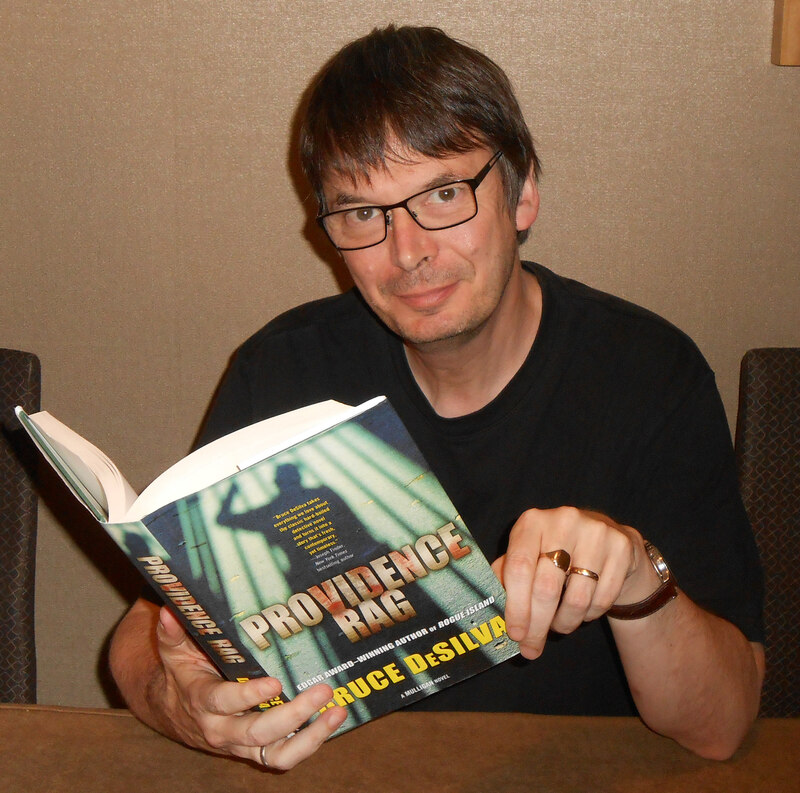 Ian Rankin, author of the fine Rebus crime novels, is a two-time winner of the Thriller of the Year Award. I snapped his photo earlier this month at the annual Thrillerfest conference in Manhattan. You can learn more about Ian and his work here. This entry was posted in Uncategorized and tagged Bruce DeSilva, edgar award, Ian Rankin, investigative reporter, Liam Mulligan, Providence, Providence Rag, rebus, thriller, thriller of the year, Thrillerfest. Bookmark the permalink.